The fall 2017 edition of The Voice couldn't quite match last year's megahit levels. The declines were a little more pronounced in the 10/9c hour, where The Brave proved even weaker than last year's already borderline-at-best Timeless. NBC broke even year-to-year on its between-Voice filler, as The Wall improved nicely on last year's Celebrity Apprentice but Better Late Than Never did a little worse. The Brave's without-Voice winter episodes took exactly the same decline vs. Timeless as the with-Voice fall episodes. NBC saw another small decline for The Voice in the spring, but the news got better in the 10/9c hour as Good Girls managed to improve by a decent bit on last year's bomb Taken. The Voice Fall: While it was actually airing, this season looked like it could be basically even in Plus, but it was derailed as the league average got healthier late in the season. Despite that, I'm inclined to be just a bit kinder to this season because it finished better than it started trends-wise (very much unlike the spring cycle). It was still a step down from the megahit levels from fall 2016. Grade: B-. The Wall: It's being compared here against its great run last winter, which is a tough standard to meet. And considering its fairly modest run from last summer, it was nice for it to make it back to above league average ratings here. Grade: B. The Voice Spring: Much like Survivor, The Voice had a decent overall trend for the spring season but was not looking good down the stretch; after growing in Plus pretty much throughout the opening month, three of the last five weeks were down 10%ish or more. Kelly Clarkson may have helped a bit in the early weeks, but that bump did not last for the whole season. The return of American Idol should get some blame, but some of the uglier points came late in the season when it was up against a really weak DWTS. Grade: C+. Better Late Than Never: And this comparison is vs. a late-summer run which did very well after America's Got Talent. BLTN certainly came nowhere close to those levels again. The trend probably deserves a worse grade than this, but it was still not too terrible for a filler situation and I have a tough time getting worked up about it. 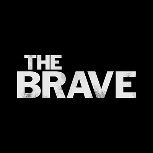 Grade: C.
The Brave: I'm gonna give this one a teeny edge over fellow fall failure Law and Order True Crime grade-wise because it held up a little better post-premiere... the last few episodes of the fall really didn't look that bad. But as an even weaker show than Timeless last year, it needed to overachieve in the winter episodes, and it didn't. Grade: D+. Good Girls: This show seemed like a relief after two years of NBC incompetence in the timeslot with Timeless, Taken and The Brave. But comparing it to everything else on the sked, it was still only barely renewal-worthy. Like most renewed shows in this slot before it, it's being sent elsewhere for season two, but it may get a better shot than your average Sunday 10/9c exile with World of Dance slated to join it. Grade: B-. Here's the now updated Schedules Plus for NBC Monday.